Preliminary information suggests that there have been no casualties in the fire, Reuters agency reports. Several hundred firefighters mobilized for Paris’ Notre-Dame Cathedral fire-fighting operation. Hey Buddy!, I found this information for you: "Notre Dame’s spire, clock collapse due to fire". 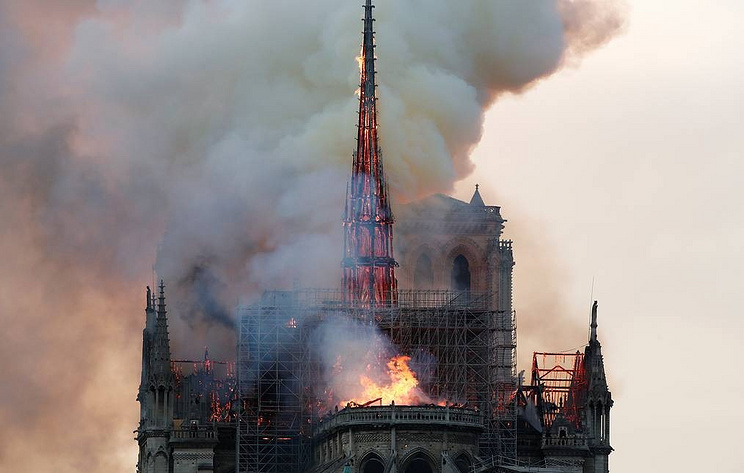 Here is the website link: https://russophile.org/notre-dames-spire-clock-collapse-due-to-fire/. Thank you.